It’s undeniable, Social Media Marketing is critical to your brand’s success online. It allows you to increase your visibility so that you can find new customers, strengthen your relationship with existing customers, and put yourself in control of any conversation surrounding your brand online. It also makes you money. Social media has a 100% higher lead-to-close rate than outbound marketing, confirming that building an audience can significantly increase your conversion rates while equally fostering brand loyalty. 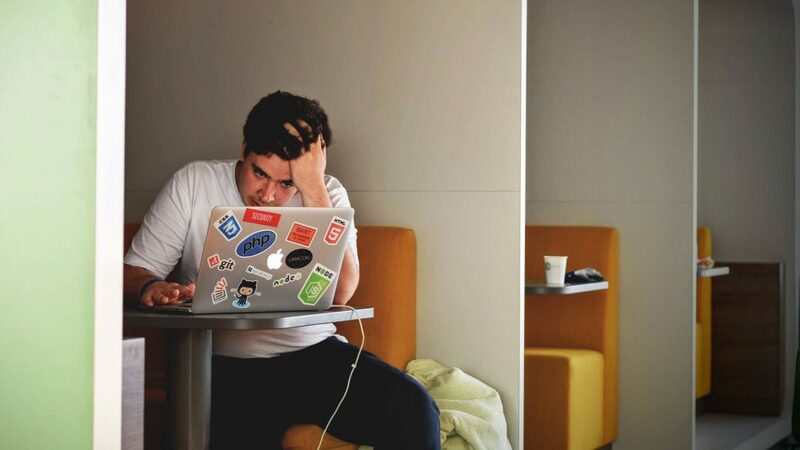 Don’t underestimate its importance, and avoid making these mistakes many brands are still making online. Not having a social media strategy in place for your business will get you no where fast. Whether you are part of a larger brand, or a sole-proprietor, it’s important you have a plan in place to ensure consistent distribution of content that is valuable to your audience. We see a lot of businesses struggle with consistency, posting sparingly or not at all, and that’s typically because they aren’t sure what type of content to post, when to post, who they’re talking to, or whether their posts are even working. This sort of “mindless” posting prevents a brand from making any real connection with their current audience and future customers, resulting in one-way conversations online. Don’t make this mistake. Take the time to put together an actionable strategy that you can implement, monitor, and track the success of. It’ll be worth your investment. We see this all the time, brands ignoring customer comments and messages. This defeats the entire point of why we’re all here. These platforms are called social networks because you are supposed to be networking in order to build an engaged community that you can monetize. Ignoring the people who are excited, disappointed, or inquiring into your brand makes all other social media efforts futile. What is the point of growing a brand online if you aren’t willing to take the time out to ensure your customers stick around? We can’t emphasize enough the importance of responding to every single comment and message you receive, (it also helps your algorithm ranking which is a bonus). Never underestimate how important it is to your audience to get that recognition from your brand. That moment of acknowledgment from you, and that relationship you build with them, is how loyalty is formed. Nobody likes a narcissist. Don’t be “that guy” in the room who only talks about himself; be considerate and mindful of your audience when you post. How do you make sure you’re not being “that guy”? The 80/20 rule. Providing useful and high-value content that is 80% informational and 20% promotional will ensure you curate a feed that is educational, entertaining and helpful. In our opinion, the best way to do this is through Content Marketing. By creating and distributing relevant content that is educational, entertaining, and showcases how your product is helpful and can easily integrate into your target customer’s life, you will build brand equity, grow a loyal and engaged fan base, and drive sales. There is really no excuse for this one. We understand that everyone is not a photographer, thus may not be able to take mind-blowing, well-framed photos, but in this modern era with the tools we have available right on our phones, there is no reason you should be sharing sub-par photography. Within this competitive social media landscape, your potential customer won’t have the time to entertain a low quality product, and worse, if they do stop in their scroll and take the time to check out your profile, they’ll likely perceive you and your brand to be of low quality as well. Invest in at least one tool, be it a fairly new smartphone, or DSLR camera, to ensure you’re putting your best foot forward for your brand. If you need help choosing content creation tools that won’t break the bank, check out our budget-friendly shopping guide here. Hashtags are the easiest way to get discovered on social media, to what degree depends largely on the platform. Instagram, for example, relies heavily on hashtags for categorizing images and allowing searchability. Hashtags help expose your content to a larger, targeted audience by allowing non-followers to find the content you’re sharing, thus increasing your growth and sales potential. You can think of it as SEO for social media. We recommend researching what hashtags your audience and competitors are currently using to drive engagement, and applying that to your brand. 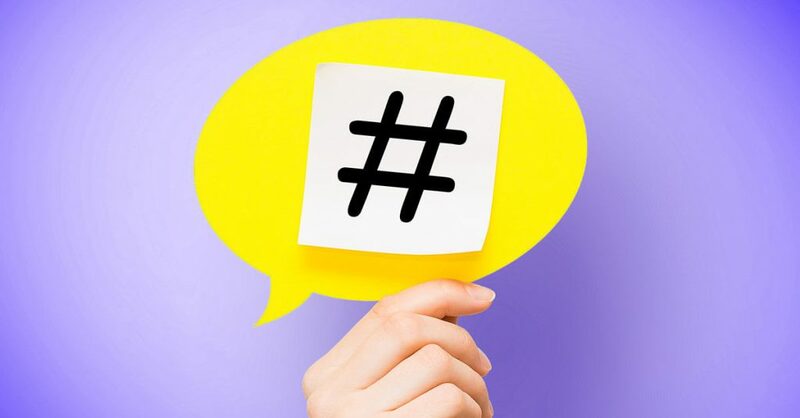 We also recommend creating a branded hashtag as they are a great way to start conversation around your brand, represent a specific campaign or product, gather user-generated content, and have a specific library of content your audience can explore. We appreciate ambitious business owners who feel the need to be on any new platform that comes out, however, what’s more important than being everywhere, is where you are. Does an accountant need to be on TikTok? Does a dentist office need to be on Twitch? Probably not. Perhaps you thought you were covering all your bases by setting up an account on every network that exists and now you’re posting content, possibly the exact same content, across the board. Your intentions are good but you’re spreading yourself thin. Every brand isn’t meant to be on every platform, and every piece of content you post should be crafted specifically to each relevant social media channel in order to maximize results. So how can you determine which channels are right for you? Research. Find out where your audience is, study their behaviours and attitudes, and focus your efforts on the networks they frequent the most. If you want to take social media for your brand seriously (and you should), adding social media management as an additional task for your Intern or Receptionist is not good enough. Your business deserves more than that. Either you need to take the time to invest in making yourself an expert, or you need to hire one. There really are no other alternatives here. You don’t want to be one of the brands who missed out on this period of time where barriers to entry opened up by way of these “free” networks, allowing you to directly engage and sell to your audience. Take this marketing opportunity seriously; social media is not going anywhere and it only continues to grow. Make the necessary investment so that you can dominate in this area. Really? We’re really still doing this? FYI there are tools that allow you to check the authenticity of someone’s followers, so you’re not fooling anyone. Not only are fake followers and likes obvious and embarrassing, they can hurt your reach by negatively affecting platform algorithms and your overall social rank by reducing your engagement ratio. Moreover, bots don’t buy, so what’s the use of having these followers if you can’t convert them? Opt for quality over quantity in your social media strategy; and don’t be blinded by vanity metrics and societal pressures that hold no real relevance to your bottom line. 1000 true fans is far more valuable than 10,000 fake ones. You need real fans who will engage, who will buy, and who will be your brand advocates. Committed even one of these crimes? We need to talk. Get in touch with one of our social media managers so that we can help you put together a comprehensive social strategy that’s right for you. This blog post has been updated and revised from a previous blog post titled “5 Social Media Mistakes You’re Still Making In 2016”. © 2019 High Season Co. All rights reserved.